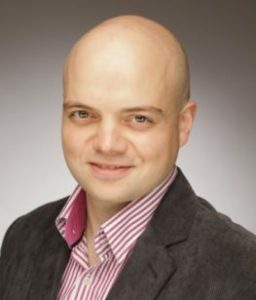 Hello, my name is Atanas and I’m a senior embedded systems SW engineer and team lead with 11+ years of experience in over 18 projects. I have graduated Electronics (both bachelor and master) giving me a stable base in the HW-SW interaction. I have further oriented my career to the SW development as this was always the more interesting part for me. I’ve led the development of key drivers and core SW components in a number of projects. Many times my work was related as well to key product features that always required considering of the final user behavior, durability, performance and use case investigations. I have developed testing specifications, requirements and internal technical design and procedures documents in most of the projects I’ve been part of. Thus I have always kept a good sight to the whole product design and have been part of the customer interaction and communication. Throughout my career I have worked with multinational teams from Bulgaria, Germany, Sweden, USA, India, Egypt, Finland and UK. This gave me the opportunity to develop to the highest my strong team-player skills, as well as communication and task management skills in international projects. I have led small teams and was many times the key person for information exchange, work progress monitoring, development of architecture level components and spreading of design & test rules throughout different offices, development of correct test procedures and monitoring of execution and results. In addition in some projects I was as well the person to develop internal information pages for the team that were with the following targets: task separation, task procedures definitions, tooling information, HW and SW information, generic project information, testing procedures etc. You can find a short summary of the projects I have worked in here. Detailed listing of all the tasks I have performed is available in my CV. Project pre-development phase (in case of competing in RFQ procedures). Investigation of customer requirements and building of internal technical specifications. Team building and setting of basic rules of work flow, design, customer interaction, definition of development phases and planning. Early development and building of prototypes and demos. Main development stage with multiple releases and development of correct and complete test procedures. Final development stages with few end releases for removal of any bugs left. Post-production feature addition and fixing of potential use-case related issues, which were not possible to predict during the regular development phases. This is of course a generic development plan. As we know RnD is always dynamic, with customer requirements and opinion changing during the different stages (sometimes even drastically). It also happens during the main RnD phase to find contradictory functionality that may require significant changes in the requirements, design, customer interaction and others. Some smaller projects don’t have heavy documentation or have some phases merged, some may only be for internal use, others require specific testing or covering explicit industry standards. Considering this and given my wide experience in the Embedded Development area I have written articles on some of the key point topics from the development process. In these you may get an extended understanding of my experience and what I define as the correct way to approach the given problems. Some of them consist of multiple aspects, depending on which we may have several different solution approaches. No matter the reason you reached my website – take a look over the titles. Some of the articles are generic in the area of project management, so you may find useful information that may be valid as well in other areas. I reside in Bulgaria and Germany. I work on a freelancer basis (mostly on German projects) and at the moment I’m NOT available for new ones. In case you want to send me a mail – use this form. More for me as a person out of work and what I do to enrich my mind and life you can find here :).